KATHMANDU, March 30: Newly re-elected President Bidhya Devi Bhandari's maiden address to the bicameral parliament Thursday proved a tiresome experience for commuters after security force emptied the six-lane highways to "make suitable way for the head of state". Vehicular movement in Kathmandu was thrown into disarray as the presidential carcade of over two dozen vehicles and outriders made its way from Sheetal Niwas to parliament building at New Baneshwar via Tinkune Gairidhara during rush hour. There was a sudden halt to commuter traffic in the heart of the capital city . Passenger buses, school buses and private vehicles remained stranded before and after the presidential carcade passed by. Motorcyclists and cyclists scrambled for alternate routes and shortcuts. As photos of weary commuters sidelined by the presidential fleet started making the rounds of online news sites, anger started spilling over in social media platforms like Facebook and Twitter. 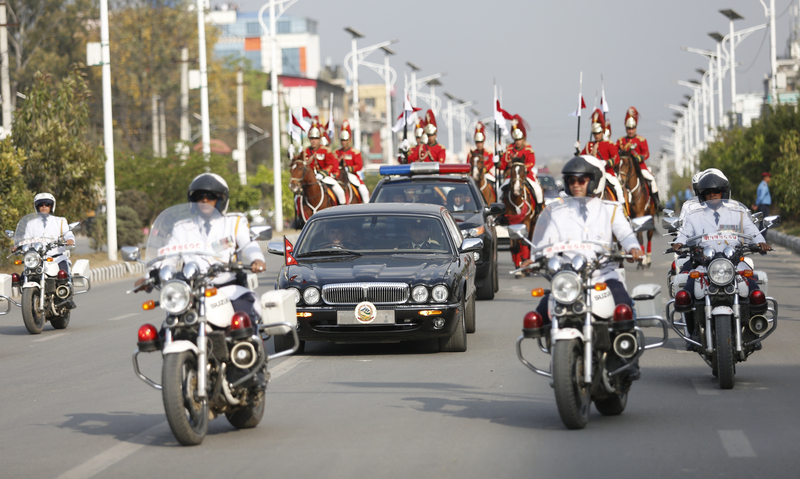 The presidential carcade remained many of the former royals who used to impact city traffic in similar fashion. 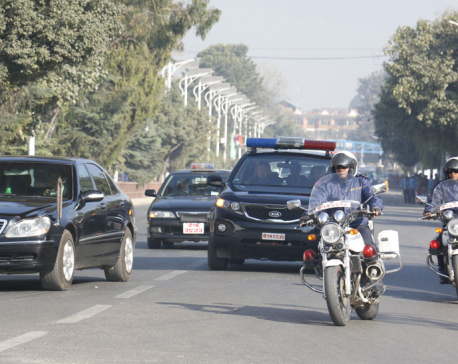 "Two lanes road was big enough for royal motorcade in the past and four lanes road seems so little for president of federal republic of Nepal? 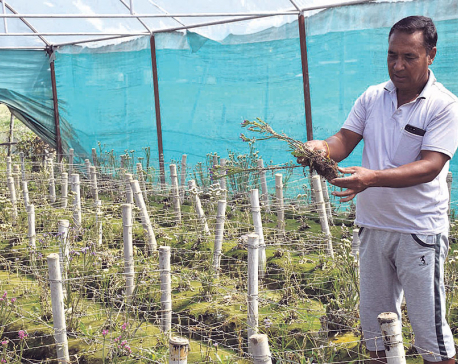 Unfortunate," Dhurba Tuladhar twitted. Traffic police said that the road was cleared as per directions "from higher up without further explanation". They said high security was provided in view of the president's profile and possible threats. But many questioned the rationale behind interrupting vehicular movement for the president. "Why this presidential farce causing so much of hardship to public. Misuse of power or is it due to genuine security threat?" tweeted Bini Chams. While most people criticized President Bhandari and the left government, many others directed their anger at the local administration and police . There was special angry toward the traffic police for not giving prior notice of the presidential carcade and making arrangements accordingly. Many have suggested the government provide a helicopter for the president so that the public would not have to suffer such traffic chaos in future. 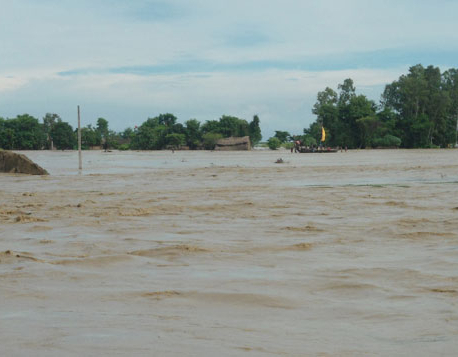 KATHMANDU, July 26: The incessant downpour since Monday night has wreaked havoc across the nation, killing at least 12 people.